The Dire Wolf was the largest wolf that has ever lived. 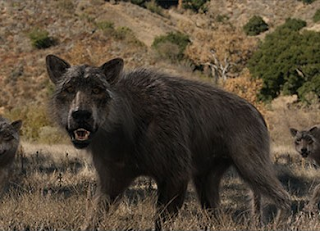 This wolf was built to hunt large game like, horses, bison, even mammoths. It is unknown why the Dire Wolf went extinct but the two main culprits are humans over hunting their mane pray or a asteroid from outer-space came and hit North America about 10,000 years ago and wiped out their main food supply and (most of the population) over time as the climate changed the wolf could not keep up and adapt in time. 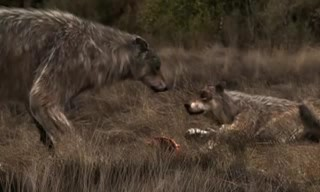 Unlike the modern wolves of today the Dire Wolf cared for each other. They brought food back to the wounded and the sick. If a wolf was not able to hunt or even walk the pack of 30 or more would bring back food to the wolf, they would have kept doing this until the wolf dies or heals from its injuries, or dies from age. The Quagga was a sub-species of the plains zebra, but unlike all other zebras the Quagga only had stripes from its head to the front of the shoulder and it had a brownish coat. The Quagga was hunted to extinction in the late 17oos to the 1800s. 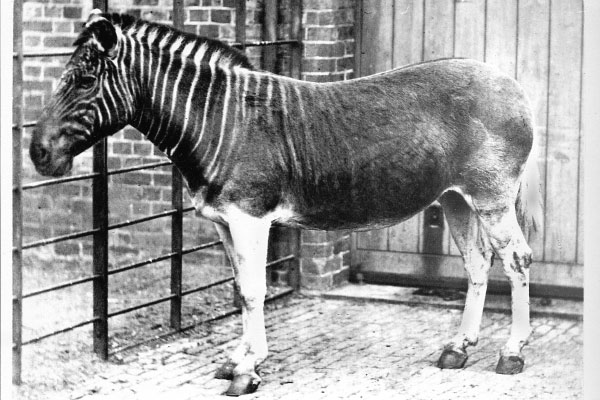 The only Quagga that was photographed was a mare that lived in Zoological Society of London's Zoo in Regent's Park. Their is a special breeding program who's goal is to bring the Quagga back to life. Not surprisingly the project is called the 'Quagga Project'. 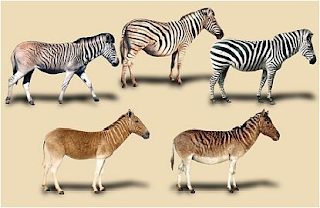 They have several zebras that have a brown coat and no stripes on their legs but so far they have had no luck bringing the Quagga back. The Quagga is still extinct... for now. That seems very unlikely, dire wolves have been extinct for nearly 10,000 years and by now a species of wolf that large in North America would have been found. Most likely your friend shoot a grey wolf but there was some genetic mutation that caused it to be so much larger that the rest of its species, it happens all the time in the animal world, the NBA is full of them. The last quagga was at Amsterdam Zoo, "Artis". It was photographed when alive and preserved at the Museum of Natural History of Leyden i think. I have not seen the stuffed animal in the "flesh" but i have seen photos of that particular animal.